Sam advertises her listings in Homes and Land for maximum exposure! 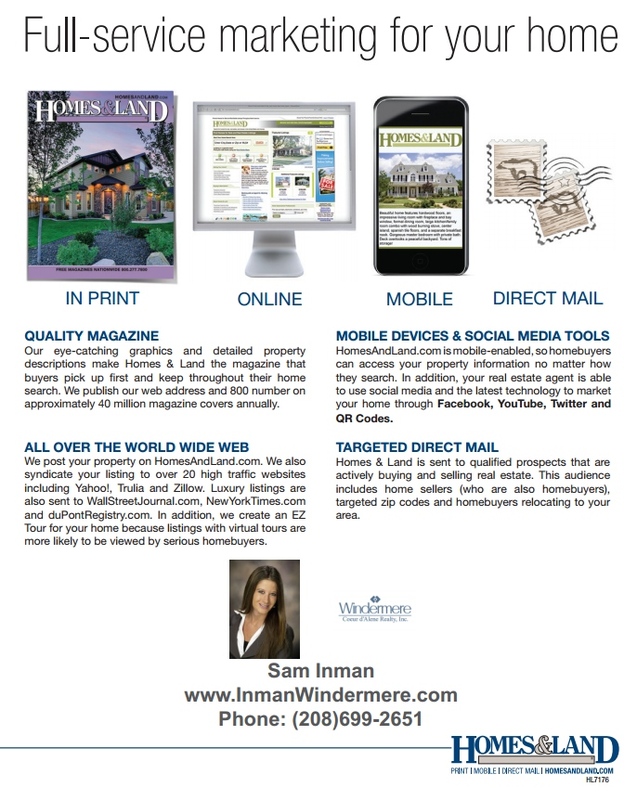 If you list your home with me I will advertise your home in the Homes and Land publication. It will be linked to over 20 internet sites including Yahoo!, Trulia, Zillow and Home Gain whose traffic exceeds over one hundred million visitors!! 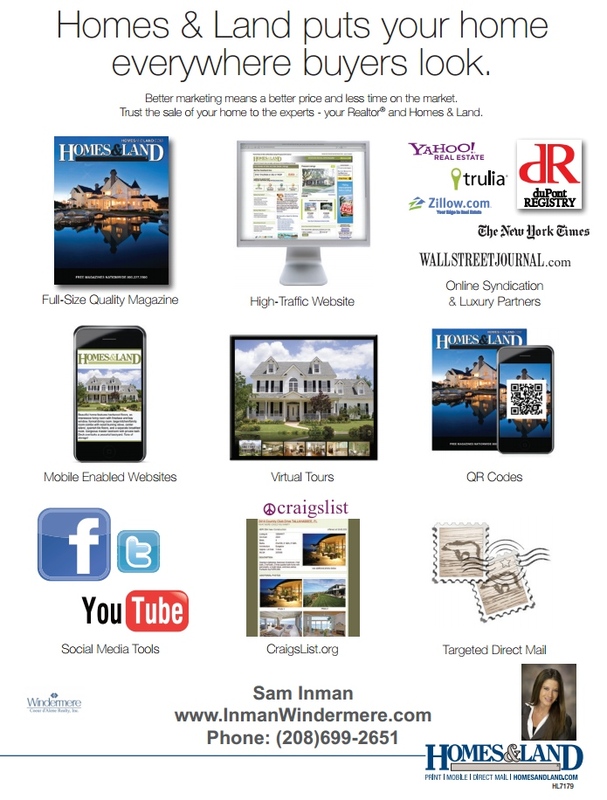 HomesandLand.com puts over a million unique visitors in orbit around your online listings each month! The glossy publication is also distributed to hundreds of locations frequented by qualified buyers! 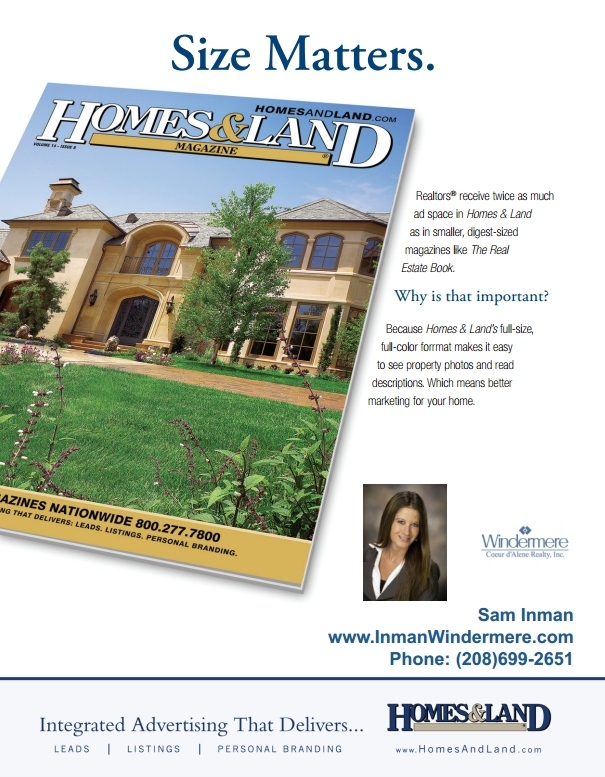 23% of the visitors to HomesandLand.com make excess of $150,000 pr year. Your home will have many pictures on their website as well as an online virtual tour of your home! I invest a lot of money advertising my listings to make sure they get the exposure needed to sell! 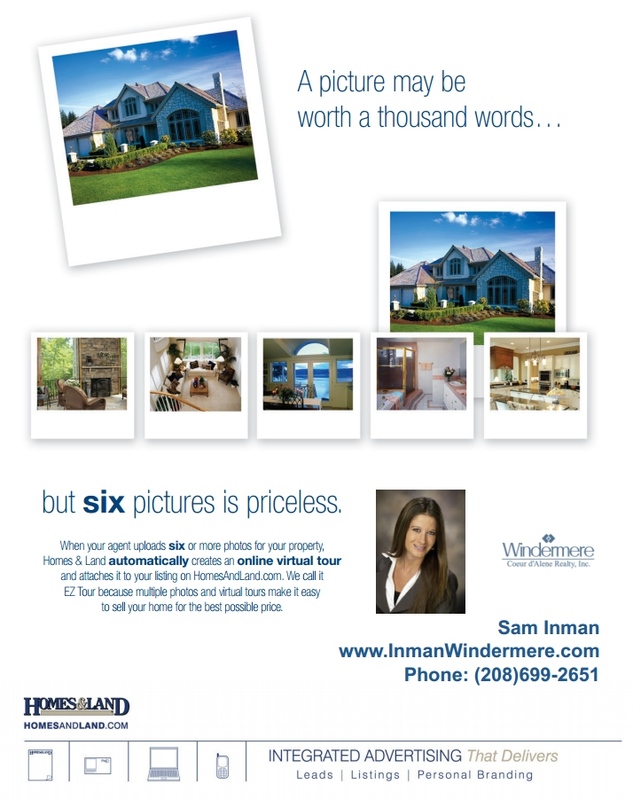 Below is more information on the many benefits of having your home featured on HomesandLand.com.